For the past three months, Sevendust have been dialing down the aggression and elevating the emotion. The band is in the midst of their acoustic tour in support of their recent acoustic album, Time Travelers & Bonfires. 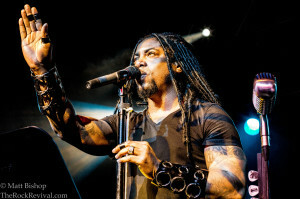 For 20 years, Sevendust have had the undisputed honor of being one of the loudest, heaviest, and most aggressive heavy metal acts ever. Last summer on the rainy second day of Carolina Rebellion in North Carolina, I interviewed drummer Morgan Rose and he simply stated, “Our setlist is so heavy. I hope this rain holds out, ’cause we’re gonna torch this place.” That’s the Sevendust we all know and love. On this tour, however, we’re seeing a new side. The band has stripped down instrumentally and emotionally. 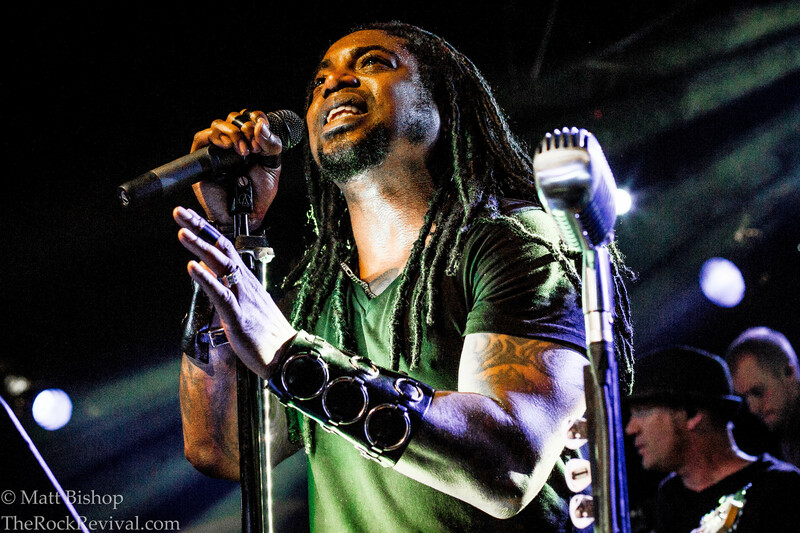 Fans are bearing witness to the softer side of Sevendust, and that’s not a bad thing at all. 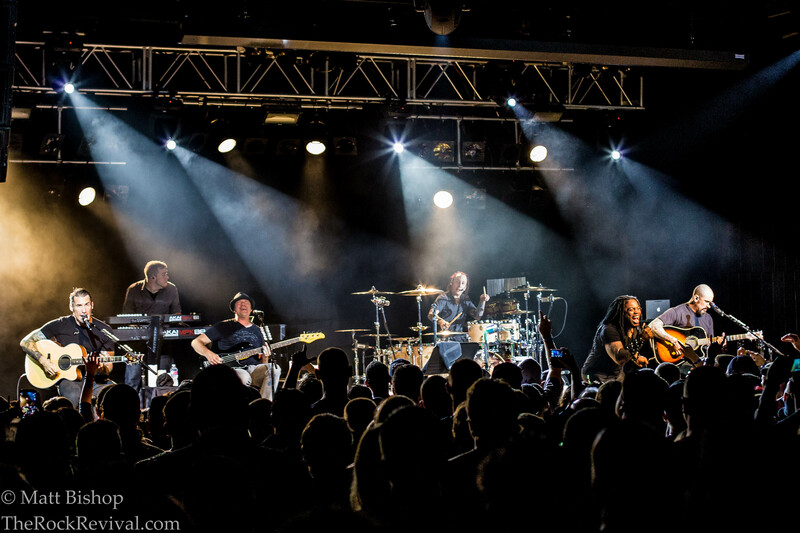 This weekend at the legendary Starland Ballroom in Sayreville, NJ, the band took the stage for a 17-song set spanding their entire catalog. They dropped hits like “Trust”, “Xmas Day”, “Denial”, “Karma”, and “Angel’s Son”. While it’s already a ballad, “Angel’s Son” sounded particularly beautiful as a full-on acoustic track. the band commented during the show that some songs were tougher to turn acoustic than others, and a few just didn’t work out at all. 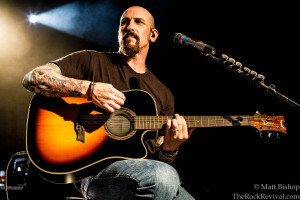 The band played three new songs from the new acoustic record, as well as “Got a Feeling” off their previous studio LP Black Out The Sun. The musicianship and arrangements were stellar, and the band certainly seemed comfortable and happy on stage. Given the more intimate setting, interaction with the crowd definitely increased. Despite being an unplugged show, it’s still a Sevendust show – loud as all hell. The second song, “Prayer”, was perhaps the highlight of the evening. As the intro played, frontman Lajon Witherspoon was visibly getting very emotional. The song is supposedly about his late brother, and how he and Lajon used to pray together. Tears started to well up in Lajon’s eyes, and lifted a hand to the sky and said, “I’m tryin’, man, I’m tryin'”. This was one of the greatest things I’ve ever seen at a show. This is what it’s all about. For too long, popular music has been nothing but disposable heroes singing about something that has absolutely no substance. I need something real. Something I can feel. A song that lets me know that there’s still a heart in my chest, that there’s still blood coursing through my veins. Sevendust is delivering that, and letting everyone know that there’s still plenty of real music out there. It might not be on the front page of Pitchfork or whatever, but it’s there. This I promise you. Sevendust formed in 1994 and exploded into mainstream metal with their 1997 self- titled debut album. The record went gold, and the band landed a coveted slot on Ozzfest ’98 alongside Ozzy Osbourne, Tool, Limp Bizkit, System of a Down, Incubus, Motörhead, Megadeth, Melvins, and Soulfly. In 1999, Sevendust released their sophomore mega-hit, Home. The album debuted at #19 on the Billboard Top 200. That same year, the band played the epic Woodstock ’99, which marked the 30th anniversary of the original festival. 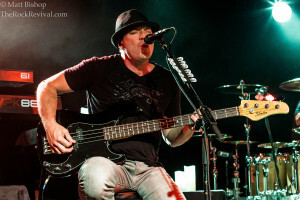 After two more studio albums, the band released the ultra-heavy Alpha, which debuted at #14 on the Billboard Top 200 in 2007. 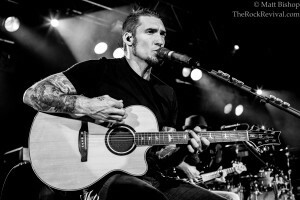 In 2008, the band saw the return of previously-departed guitarist Clint Lowery. They released a new LP, entitled Chapter VII: Hope & Sorrow. The star-studded LP featured appearances by Christ Daughtry (Daughtry), Mark Tremonti (Creed, Alter Bridge), and Myles Kennedy (Alter Bridge, Slash). The disc debuted at #19 on the Billboard Top 200. Tagged acoustic rock, Black Out The Sun, Clint Lowery, hard rock, heavy metal, John Connolly, Lajon Witherspoon, Morgan Rose, music, music news, new jersey, nu metal, rock music, sevendust 2014, sevendust acoustic tour, sevendust live photos, sevendust news, sevendust photo gallery, sevendust show review, sevendust starland ballroom, sevendust time travelers & bonfires, sevendust tour, The Rock Revival, TheRockRevival.com, Vince Hornsby.